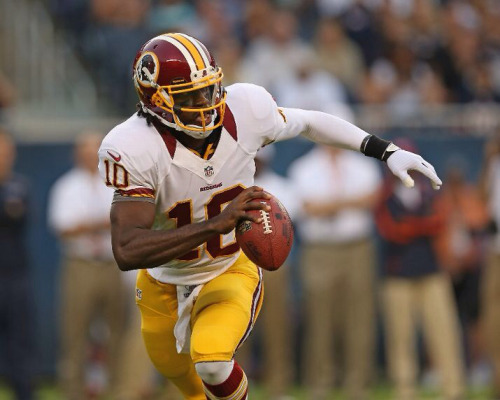 Can new defensive coordinator Steve Spagnuolo find a way to contain the highly explosive RGIII? Can Drew Brees power this offense without the aid of Sean Payton? If GW can contain Cam Newton... God i will cry if we get burned by him. And Brees has done it once. I don't think the margin of victory will be that high. While I do think we win, I am thinking more like a 17-27 win. Washington will find a way to keep it close, but we pull away when it counts. Their secondary will be their weakness, and that is not a weakness you need against Brees. I'm feeling very confident in this game and this season in general. I feel a Brees led offense against that secondary should give us a big advantage. The only question is, how is our D going to do against RGIII and co. I have 100x more faith in Spags this season than I did in GW last season, so with that said, I think we'll be fine. Our D-line looks pretty damn good in preseason, and with Lofton and Greer back, we'll get 2 of our best defensive players back. RGIII will get his points in a probably stunning debut(love the guy, great talent), but Redskins aren't done building their team and will fall short against a contender. Brees tosses 3 TDs, Ingram runs in 1 TD, Cam Jordan and Ellis with sacks and Jenkins with the INT. Correct me if I'm wrong, but this is Shanle's 3rd or 4th straight season he's starting on this teams LB core? He's been starting since 2006, so this is his 7th season starting with us. Came over with Payton from Dallas. HAHA! If this was OTA's, Shanle would be just fine. Dear Saints Coaching Staff and Front office: Thank you so very much for keeping the scrub LBer Shanle... something to think about is PLEASE CUT the dude! Please! Please! trade Browner to Canada for a tub of fine Maple syrup, and call it a night. Is it wrong for me to want to see Shanle tear his ACL? Aaron Kromer announced that all the Saints injured players are slated to play on Sunday! That includes Sproles, Greer, Arrington, Lofton, and Hawthorne! Good to know the linebackers will be out there (with the exception of Shanle). I would sell my firstborn to get Chamberlain back and remove Shanle from the roster. What do you guys think of the Martez Wilson to DE move? I personally would've proffered to see him continue to learn the OLB position, especially with his athleticism. I want to see how he can benefit the scheme first. The zone blitz works best when you have an aggressive front four. If Martez plays as well as Spags says he has been, than he can make the back seven just that much better.